I'm sorry, I speak English poorly. 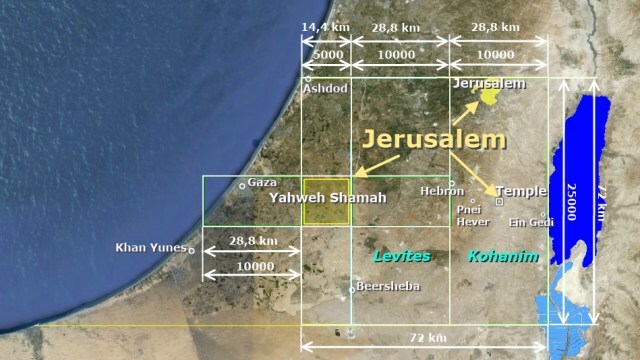 Analyzing Ezekiel's prophecy about the future of the Messianic Temple of Israel, we managed to find a place in the Judean Desert, which fully meets the text of this prophecy. 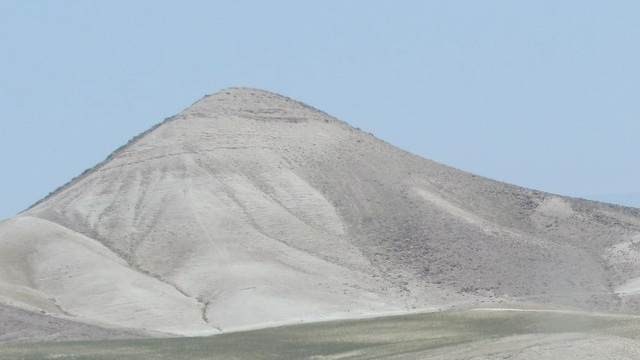 I do not have the opportunity to visit this place, but I was able to find pictures of this mountains and a single photograph of the slope, where there should be an altar of the Temple. 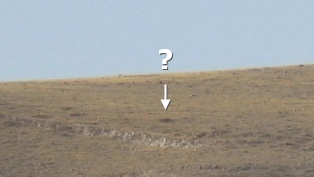 Surprisingly, in the center of the photo was located hillock, like the ruins of an ancient altar. 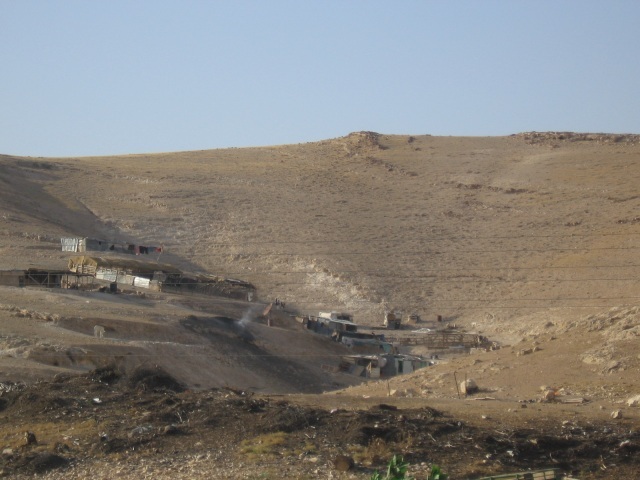 Expected place of the altar is located 30 km south of Jerusalem, between Ein Gedi and Hebron. A calculation error does not exceed one hundred meters. Coordinates: 31° 29' 13" north latitude, 35° 14' 33" east longitude. If we argue that the prophet Ezekiel in a vision showed no random place, then this may be the place of the altar of Abraham, the place Jehovah Jireh. 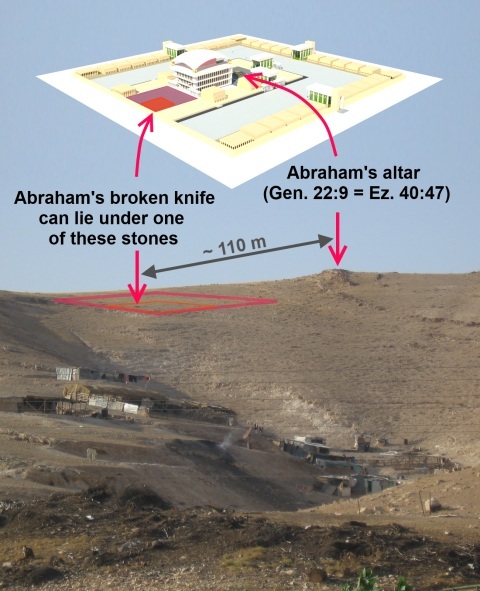 If Providence knew in advance that Abraham would bring the victim to the place where through four thousand years will be built the Temple, God had to make sure that some of the items were not at the site of the future of the Holy of Holies, or even non become available for the pilgrimage. What items should have to remain near the sacrifice of Abraham? Ram skin, horns and hooves. And was to remain Abraham's knife. Abraham was to break down his knife and hide it wreckage. Because, first of all, after use during the sacrifice to God this knife become a holy object, and secondly, that Abraham was about to plunge the knife into his son. On the territory of the temple complex there is only one place where such objects would be appropriate. Abraham had to dig a hole to hide the horns and hooves. There also Abraham could put the broken knife. Abraham and Isaac had to put on top of a big stone. During the four thousand years, the slope of the mountain was blurred. 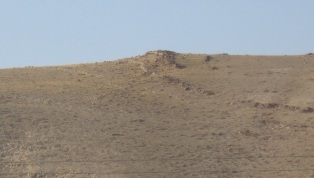 The stones of the altar served as protection for the ground that was under them, and formed a hillock, which we see in the photo. A big stone, under which the hidden horns, hooves and a knife, and the knife fell below may lie directly beneath or next to it. Where could we find archaeologists who could look around this place and confirm or refute our calculations? 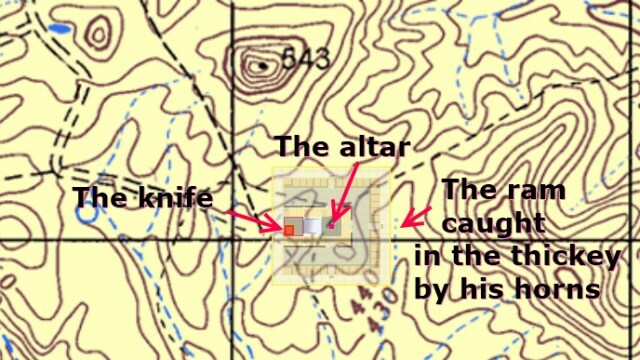 This video from 6:09 shows where the ruins of the altar are located and where Abraham could hide his knife. Next topic: "What is the scene at this point in time?" Previous topic: "BRIC DINE - Seeking Archaeologist/Field Director Full-Time Opportunity "